Don’t worry, this isn’t all I ate! I stuffed in quite a bit more during my brief stay in Hanoi, yet I discovered that photographing food in Vietnam can be a little more challenging than other places. Sitting on 6 inch stools on the roadside, balancing drinks and dishes on tiny or nonexistent tables, extremely uneven light coming from makeshift roofing, people shoving, and a slight concern of being hit by motorbikes all add to the exciting challenge! Here are a few things I ate while in Hanoi, Vietnam. Xoi Xeo Ga – Sticky rice, corn, bean paste, chicken, fried onions, sauce! I have to give my vote to Hanoi’s Bun Cha with Xoi Xeo coming in next! Like Vietnamese food too? What are your favorite Vietnamese / Hanoian dishes? 41 comments. I'd love to hear from you! It can be a little overwhelming the culinary experience in Hanoi. We found a great place called “Quan An Ngon” which is a restaurant of street food vendors. You can try most of these dishes located on this list and some others that aren’t. It really a great place to visit in Hanoi and try some local street food in a restaurant setting! Nem Cua Be are our absolute favourites. Both times we have been to Hanoi we have managed to track down an amazing road side place that is only open for lunch. Beautiful fresh Nem Cua Be and piles and piles of fresh herbs/lettuce. Unbeatable. I like to refer to nem cua be as little crab pillows. They are so delicious at anytime of day! Thank you very much for all your tips. I would love to visit Hanoi again in the future! I heard about the banh mi Doner Kebab, but never got a chance to try it. How was it? Hey Gerard, I loved it! Hope you can try it soon! Thanks, Mark. It’s about my country, lol. 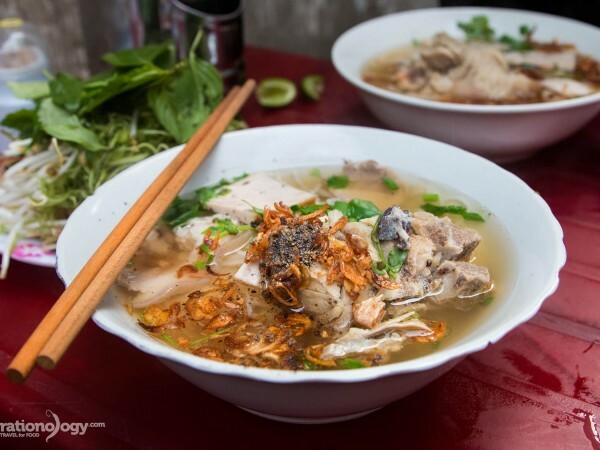 Yes, Hanoi makes the some on the best Pho in Vietnam and street food scene is amazing. Also, never forget to savour the Pho Cuon spring rolls. Hey Karthik, yes those spring rolls are wonderful! Hey Dong, yes a I had some delicious pho in Hanoi, I really like it! Thanks Mimi, different and delicious! Ooh, how delicious it all looks. Great photos. i am now officially super hungry. gorgeous photos! Bun cha is one of my favorites but it all looks so fresh. You had me at Vietnam and food. Such a yummy country. Thanks for the photos! Great shots! Yes, eating and taking photos in Hanoi can be a challenge 🙂 Love pho! 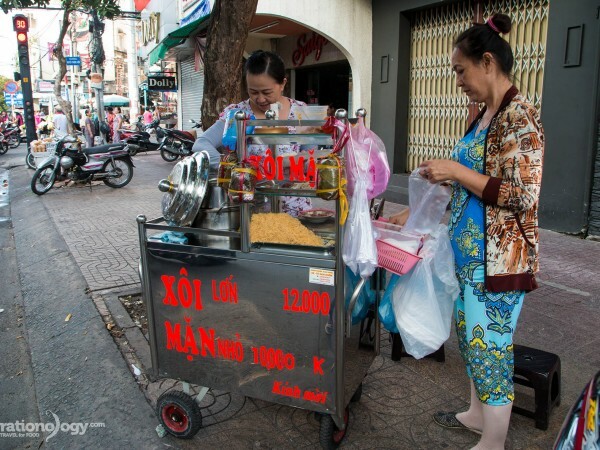 Wow lovely dishes Here are a few things I Want eat while in Hanoi, Vietnam. @Jetpacker: Haha, it was a little bone filled, but the flavor was excellent! @Riku: Yes man, the fresh herbs and mild soups definitely added a unique natural flavor. I didn’t make it to the dog street in the end, sort of ran out of time, and my girlfriend wasn’t too thrilled! Next time! @Digital Nomadism: Yah, sucked on the whole thing and spit out the bones! You have got to try it when you are in Hanoi! Also not sure about that Pigeon head!! Did you crunch down the whole thing or is it for show? Just for show, man. I’d rather take it out. Wow dude, awesome pics. Rice noodle soup w chicken/beef/pork + some liver in it was propably the best dish that I ate in Vietnam. Döner kebab and fresh summer rolls were really tasty too. Btw did you notice that those Vietnamise soups had that unique taste of freshness on them? I mean if you compare to ones you get in Thailand or Laos. And did you go to that ”dog street”? There’s nowhere noodle is tasted like in Hanoi, all are the modifications. “Dog street”? You mean dog meat on the street ? Sometimes you can find it in some markets but not regular. You have to go to some restaurant to try it. Everything looks awesome… except the pigeon… with the HEAD in the dish. I’ve never walked through a city and went, “Hmm… that pigeon looks edible.” How was it? It was nothing, lol. Just for decorating. I don’t eat that stuff but other is enough to say extremely great. Vote for Beef Noodle, Bun Cha, Beef Salad … and everything, lol.